Mister Rogers' Neighborhood is an American TV series hosted by Fred Rogers and scripted to appeal to children between the ages of 2 and 5. Mister Rogers' 30-minute episodes use his puppet friends and a neighborhood of make-believe to talk to children about the numerous issues they might have to deal with in their own lives. The shows tackle a wide array of life experiences from the everyday problems of simple mistakes to fear of abandonment, war and death. In one episode, Mister Rogers accidentally failed to properly align the buttons and buttonholes of his sweater. He skipped one of the buttonholes to launch a talk about errors. He explained that everyone makes mistakes. He discussed how bad a person can feel when someone makes fun of their errors. The host also talked about how unkind it was to be one of the people who made fun of someone in such as situation and that these mistakes should be shrugged off. He also addressed the difficult issue of death. In one episode, he showed the viewing audience a fish floating on top of the water in a fish tank. He explained that it was very sad that the fish had died and told children it was normal to grieve. Mister Rogers went on to assure his audience that grief passes and after a loss they would feel happy again. Through his puppet characters in the Neighbor of Make-Believe, he covers a topic from every side. The puppet characters act out some of the behaviors or feelings the audience members might be experiencing. Mister Rogers speaks in a quiet, reassuring voice as he explains the issues in clear, simple terms. His show encourages people who want to recreate his neighborhood in their homes to use their imaginations. Instead of selling replicas as merchandise, the audience is urged to use discarded boxes and cloth to make their own version of the trolley and puppets on the show. Mr. Rogers decides to visit Handyman Negri's shop, in which he speaks with a musician who enjoys playing the harmonica. Meanwhile, in the Neighborhood of Make-Believe, the citizens of the kingdom attempt to figure out why Lady Elaine Fairchilde is being such a harsh critic. Mr. Rogers decides to visit a woman who has made many different pottery pieces during her lifetime, in which he later watches a video on pottery. Meanwhile, in the Neighborhood of Make-Believe, Lady Elaine Fairchilde mocks the citizens of the kingdom for their poor artistic creations, though the other citizens of the kingdom don't see the sculpture as horribly as she does. Mr. Rogers decides to go outside to his sandbox in order to make something in the sand, though he later watches a video about the beach. Meanwhile, in the Neighborhood of Make-Believe, King Friday XIII announces that the kingdom will hold an art festival, though Lady Elaine Fairchilde appoints herself as judge in boredom of the event. Mr. Rogers decides to look over a tree for Mr. McFeely, in which he spends his time drawing a picture of the tree. Meanwhile, in the Neighborhood of Make-Believe, X's cousin returns to the kingdom and the citizens of the kingdom watch a video on the many different types of trees in the world. Mr. Rogers is visited by Mr. McFeely and the two of them watch a video on how ball caps are manufactured. Meanwhile, in the Neighborhood of Make-Believe, H.K. Elephant reads some sign language for the citizens of the kingdom during Lady Elaine Fairchilde's game show. Mr. Rogers is visited by Chuck Aber, who brings along his elephant puppet with him. Meanwhile, in the Neighborhood of Make-Believe, Betty Aberlin realizes that H.J. Elephant knows sign language, which permits him to help out with Lady Elaine Fairchilde's upcoming game show. Mr. Rogers decides to head over to a dance school in order to speak with the teacher as well as the students. Meanwhile, in the Neighborhood of Make-Believe, Lady Elaine Fairchilde announces her new plan for an upcoming game show on her TV station. Mr. Rogers heads over to Handyman Negri's shop in order to watch a guitarist perform there. Meanwhile, in the Neighborhood of Make-Believe, Queen Saturday asks the royal mouse to try and make something out of some seemingly unrelated objects. Mr. Rogers decides to go to a zoo in order to watch some elephants. Meanwhile, in the Neighborhood of Make-Believe, King Friday XIII wants Corny to create a new device that will permit him to look inside of various objects. Mr. Rogers decides to read a book he wrote, Daniel Striped Tiger Gets Ready for Bed, though he later visits Handyman Negri's shop. Meanwhile, in the Neighborhood of Make-Believe, the citizens of the kingdom manage to find Prince Tuesday and Little Panda, in which they work to bring them back home. Mr. Rogers brings out some masks and he talks to the viewers about how they are used to disguise one's self, though one never truly changes underneath the mask. Meanwhile, in the Neighborhood of Make-Believe, Betty Okonak Templeton arrives in the kingdom and she decides to help her friends find the lost prince. Mr. Rogers visits an old friend of his, in which they witness how trees are trimmed. Meanwhile, in the Neighborhood of Make-Believe, the kingdom is attempting to figure out where Prince Tuesday is, though Purple Panda expresses that they may be lost somewhere unknown. Mr. Rogers decides to use a salt shaker in order to turn it into a musical instrument, in which he then heads to Handyman Negri's shop to see similar instruments. Meanwhile, in the Neighborhood of Make-Believe, Chuck Aber helps appease Daniel Cooke's curiosity, while Little Panda attempts to show Prince Tuesday how to travel by thinking of purple things. Mr. Rogers decides to take out a picture frame in order to use it to look at smaller pieces of a larger picture. Meanwhile, in the Neighborhood of Make-Believe, Purple Panda and Little Panda visit, which causes King Friday XIII to impose a new law out of wariness, since the two of them had been too curious. 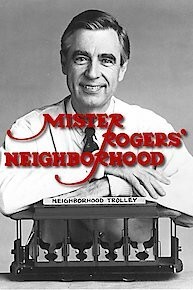 Mister Rogers' Neighborhood is currently available to watch and stream on PBS. You can also buy, rent Mister Rogers' Neighborhood on demand at Google Play, iTunes online.